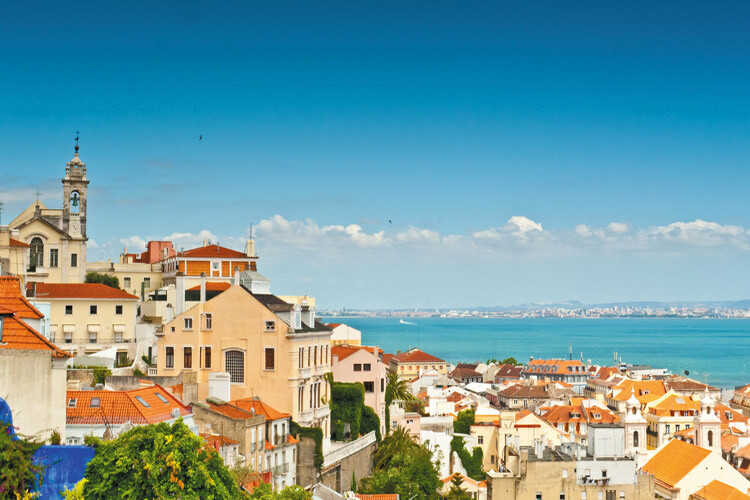 As the capital city of Portugal, Lisbon has developed its own distinct identity, and due to its smaller size, it is the absolute perfect location for a weekend getaway. From its ever-growing repertoire of amazing hotels and restaurants to its beautiful views of the River Tagus which stretches into the Atlantic, this hilly city filled with red-tiled roofs is simply the place to be. So here are a few bits to see, to eat, and tips on how to get around so mix and match to your heart’s content and have a fun-filled weekend in Lisbon. This is a UNESCO world heritage located in the municipality of Lisbon. The Torre de Belém played a significant role during the Age of Discovery and throughout Portugal’s maritime history. Constructed in the 16th century, it is a fortified tower with a staunch presence that was erected at the mouth of the Tagus River, acting as somewhat of an entryway into Lisbon. The Castelo de São Jorge is a commanding Moorish castle perched atop a hill which looks over the Alfama District of Lisbon. Dating all the way back to the medieval period, it has played an important role in the history of the city. It is absolutely worth a visit in order to get a taste of history. If that doesn’t convince you to visit, the sweeping 360 degree views of the city below just might. Built by Gustave Eiffel’s apprentice, the Santa Justa Lift is a short trip up and provides and easy move between Lisbon’s Baixa and Bairro Alto neighbourhoods. The elevation change between these two districts is so steep that this 45m tall lift was erected as part of the city’s public transportation system. This Neo-Gothic iron tower is now a popular tourist attraction and one of the most unique sites in the city. You can indeed ride the lift, but lines are often very long which can make the wait exorbitant. so going at off-peak like earlier in the morning or in the evening is recommended. At the top is a viewing platform where you can soak in amazing views of Lisbon. At some point, it is just best to wander around the cobblestone streets laced with tiled buildings that make Lisbon what it is. There is no better place to do that than in the Alfama District, the oldest part of the city. There is beauty around every corner and the older city walls provide even more charm. Pop into any of the countless al fresco cafes and just enjoy yourself. Built by the banks of the River Tagus, this 5 century old monastery marks Portugal’s ‘Age of Exploration’. It’s another one of Lisbon’s UNESCO World Heritage Sites. Many famous kings, architects, artists, and explorers including Vasco da Gama have their final resting place in this monastery. It represents an amalgamation of Portuguese history, culture, and identity. Rossio Square is one of the main squares of downtown Lisbon, which had an original purpose of hosting bull fights and beheadings in medieval times. It’s now a meeting place of tourists and locals alike and is the ultimate place for a good bit of people watching – a place where you can see Lisbon’s local life come alive as you listen to the fountains in the square babble. The National Tile Museum celebrates the art of the azulejo and Portugal’s preeminence when it comes to ceramics. It is located in the monastic buildings of the Madre de Deus Convent. There is even a amazing little cafe inside that is highly recommended! The historic centre is very small and compact because an earthquake destroyed the medieval city and therefore it was rebuilt in a compact, grid-like way. Go outside the city center though, and expect some hills. Lisbon is flourishing, and therefore so is its food and dining culture. With traditional foods to a dynamic and booming restaurant scene, Lisbon is an amazing place to satisfy any craving. Pastel de natas, Portuguese custard tarts, are egg tart pastries dusted with cinnamon. They are a must-try when in Lisbon and they are available at the famous Pastéis de Belém where they follow an ancient recipe from the Mosteiro dos Jerónimos. This traditional market has been in operation since 1892 and is located in the downstairs portion. From crisp vegetables to other amazing fruits from around the Mediterranean, you can get great deals on some good food from this market. A food court was opened in 2014 on the upper level. It is home to various different stalls that cover the entire gastronomical gamut – from seafood to sandwiches and sushi to more traditional food. There are large communal tables in the center that you can eat at. This little gem of a place has received a myriad of positive reviews. They have a selection of tapas to choose from and they do not accept reservations, so it is best to arrive early, put your name in, and be flexible with your time. If you do, it is very unlikely you will be disappointed with your experience! Antsy to book your weekend trip right this second? If so, start planning your Lisbon City Break with Click&Go today!